The battle for the desktop has turned into more of a heated argument instead of the full-on war it used to be, as Microsoft's Windows, Apple's OS X, and the Linux desktop environments have settled into more or less a state of equilibrium. Right now, the attention seems to be focused on the mobile platforms as the next be-all-end-all of modern technology. This is not to say that innovation does not exist on any of the desktops platforms. In fact, just the opposite is true: the changes and innovations in mobile are directly driving the innovations found in the desktop space. 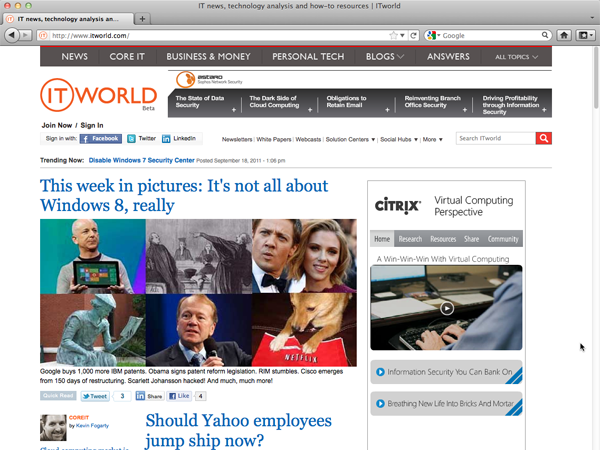 Thus, we have the "appification" of Window's Metro interface, or OS X Lion. With this shift towards a new type of interface, it seems like a good idea to take stock of how open source software is faring on these new kinds of desktop systems, to see how they are adapting to the changes. With this goal in mind, I decided to take a look at the popular open source applications available for OS X, to not only highlight them as potentially great alternatives to proprietary applications for OS X, but to also see how well they work with the new Lion version of Apple's desktop platform. It's pretty much a given that the first application class that would be examined in this roundup would be the office suites that provide alternatives to Apple's iWork suite of apps and Microsoft's Office for Mac. Office, by nearly anyone's definition, has a robust and feature-rich application set ... but it's also ridiculously expensive and treats standards with barely more than a cursory nod. iWork, while less expensive, is no better as far as standards, and I have found the functionality of its applications to be limited. In the old days, the alternative would be easy: OpenOffice.org, long the property of Sun and now swallowed up by Oracle along with its erstwhile parent. And that venerable open source office suite is still readily available for OS X. But now there's a new open office suite in the mix: LibreOffice, the OpenOffice.org fork now managed by the Document Foundation. I have written already about the major differences between these two suites. The short version: there are no major differences. On Linux, I have found that LibreOffice edges just slightly ahead of OpenOffice.org, and that's also true on OS X Lion. Both applications installed identically, and were up and running in just a few minutes. The only difference was OpenOffice.org's first-time setup wizard, which still after all these years harkens me back to StarOffice, OpenOffice.org's proprietary ancestor. LibreOffice has no such wizard. Both suites render fonts within Office documents better than their Linux counterparts, primarily because OS X handles Microsoft fonts better than many Linux distros (though that is often less of a problem these days). I found that LibreOffice did at least try to open an embedded graphic in a Microsoft Word document I opened in each suite's Writer application. 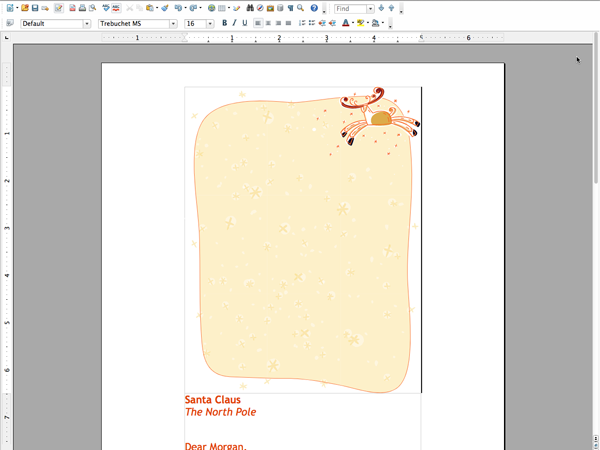 OpenOffice.org Writer didn't even recognize the existence of the graphic; LibreOffice Writer did, but, as you can see from the screenshots, it still completely bungled its attempt to render it. ...but OpenOffice doesn't even recognize that it's there. These problems can be chalked up to the suites attempting to translate alien document formats. When creating images and similar features in documents in their native ODF format, however, both suites excelled (no pun intended). 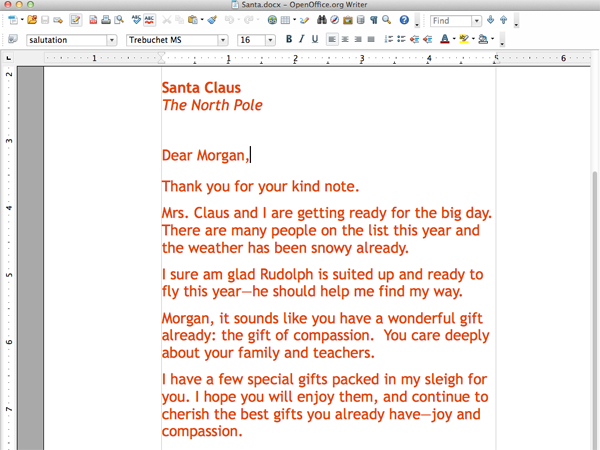 Both suites integrated well with Lion, and offered full-screen capability (through a keyboard shortcut and menu command). Message and dialog boxes, however, had the look and feel of the older Aqua interface. But functionally, there were no compatibility issues with Lion. For the ubiquitous Internet browser, again the choice was easy: match up the WebKit-based Safari against Mozilla Firefox and Google Chrome. All three browsers have at least roots in open source, and, as you might expect, that came through in how they handled pages and multimedia content. There were, though, some notable differences. Firefox, oddly, gave me some issues right at installation. It installed perfectly well, and the first-time wizard offered to import my bookmarks from Safari, but then failed to do so. Rendering was snappy and fast, though curiously the same page displayed in the same-size window showed more content than on Chrome, but less than what Safari displayed. 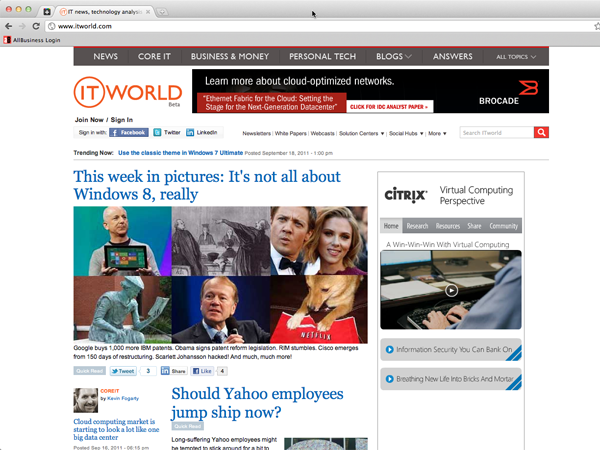 Firefox and Chrome render the same page somewhat differently. Personas and add-ons all worked just as they do on any other Firefox installation. Tabs can be pinned as well, a feature not yet available in Safari. But Firefox does not make full use of some of the magic gesturing techniques found in Safari, and while you can full-screen Firefox, you have to do it via a menu command, not the expansion icon found in Safari and other native Apple apps. Chrome behaved a little better, with imported bookmarks working fine. Curiously,the actual page-viewing real estate in the screen was smaller than in either of the two other browsers, thanks to a thicker toolbar/tab arrangement. As in Firefox, full-screen can only be invoked from a menu, and magic gesturing is not available.